Great news!!! 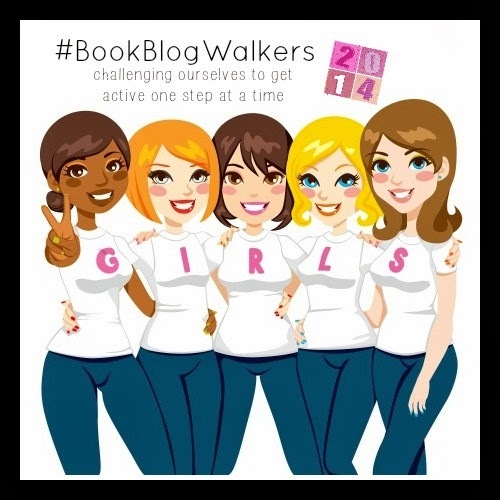 Felicia @ The Geeky Bloggers Book Blog has decided to make #BookBlogWalkers a year-long monthly challenge!!! I'm so excited and pumped - what better way to stay motivated than with a great bunch of gals!!! Thank you Felicia for getting us moving! This week the weather was CRAZY here in NY. We went from the 40s to close to zero back up to near 50 degree temps, with snow, rain, and more snow. That being said, I did a combo of indoor and outdoor walks, and even managed to make it to the gym one day! Jan 9: Made it to the gym!!! Did 3.5 miles on the treadmill in 1 hour. Hopefully next week the weather will be a bit more normal and I can get to the gym a few more days! How did your second week go? Great week of exercising. I haven't got to Felicia's post yet, you were before hers in my feed! Nice to know she will take it for the year.